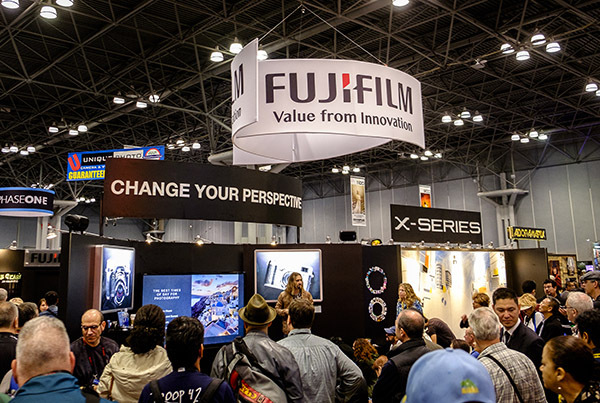 Yesterday was the opening day of PhotoPlus Expo 2015 in New York. There were very few bombshell announcements, Among the biggest was the new, full-frame Leica SL (Typ 601) camera. The SL has a 24MP sensor coupled to the latest version of the Maestro II processor. It can shoot at 11fps, has 4k video at both 4096 x 2160 (24p) and 3840 x 2160 (30p), It has an incredible 4.4k EVF viewfinder. Dials and buttons are the utmost simplicity with a readout screen on top of the body. I wasn't prepared to like this camera as much as I did, particularly the econometrics, but at a body price of $7450 I don't think I'll be rushing out to add this one to my arsenal of equipment any time soon. 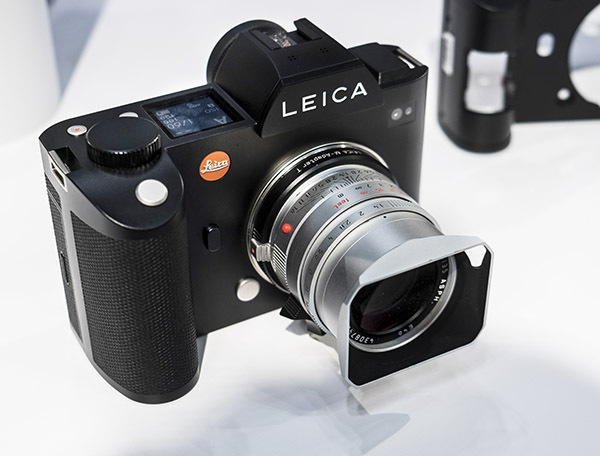 The SL is shown here with its custom Leica-M adapter and Leica M lens. This is the way I would want to use this camera. Best thing about this adapter is that it passes the lens data to the camera where the camera can make necessary corrections for the lens in order to produce optimum results. In a sense, this feature makes the camera a meaningful pro-alternative to using the Leica M itself. The design is minimal. 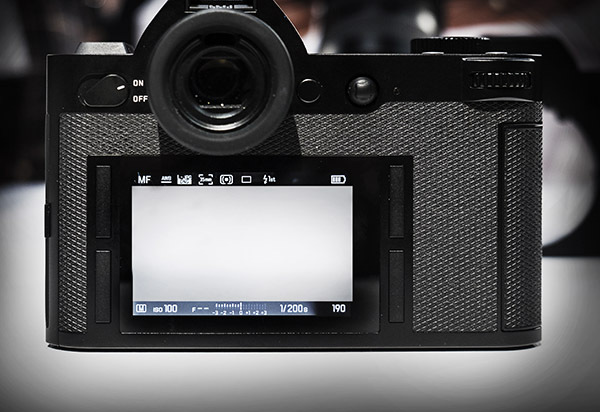 If you are familiar with the Leica M menu system, the SL menu system will be a natural for you. It is quick and easy to navigate. My favorite feature on the camera is the small, ball toggle for moving the focus points. It is the quickest, easiest, most responsive focus system I have seen to date. 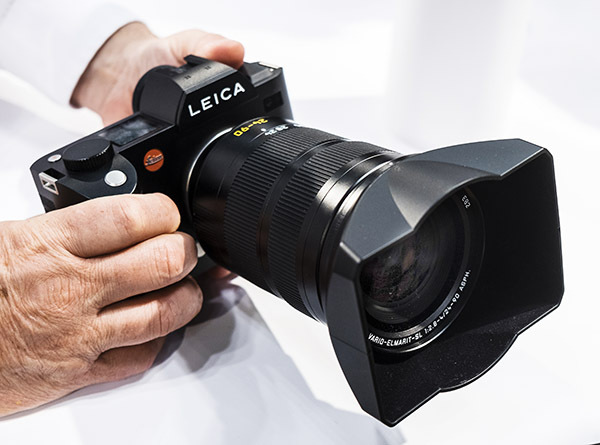 While there are only going to be very few dedicated lenses initially available for the SL, it also accepts all other important Leica lenses -- Leica M, S, R via a dedicated adapter. The kit lens -- if you can call a $4950 lens a "kit" lens -- shown here is a very practical focal length Leica 24-90mm f/2.8-4 Vario-Elmarit. Fuji didn't have too much new to announce at the show. They did show their new 35mm f/2 lens and the 1.4x teleconverter. 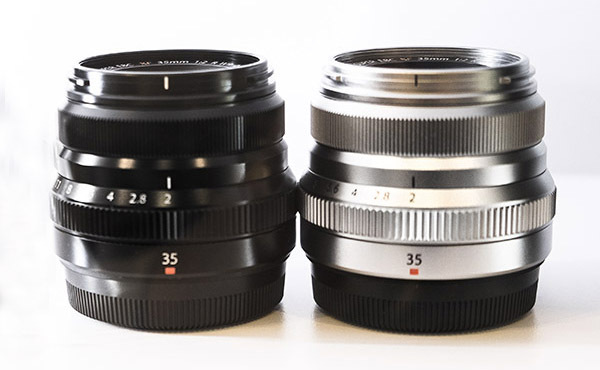 The 35mm f/2 Fuji lens. 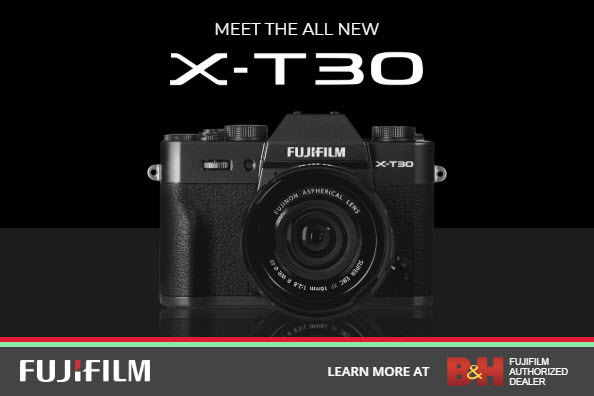 At $399 it is a smaller, weather-resistant, less expensive alternative to the current Fuji 35mm f/1.4. 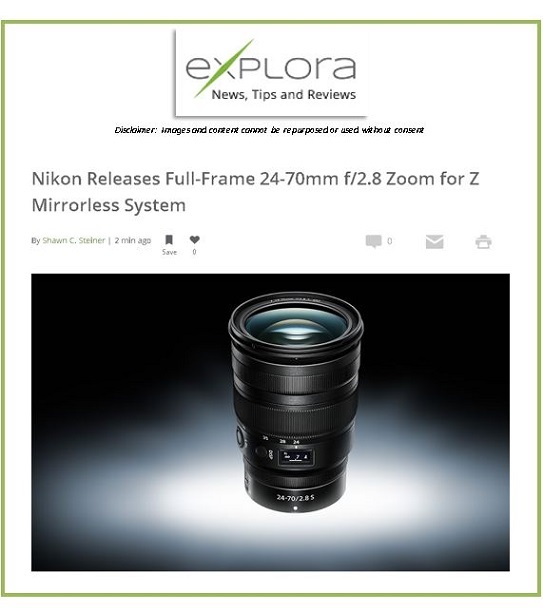 Reports coming in make mention of its quick and quiet auto focus and high image sharpness. It weighs just a tad less than the f/1.4 model, and does not focus quite as close (13.78" or 35cm for the f/2; 11.02 or 28cm for the f/1.4), but the magnification is not that far off. 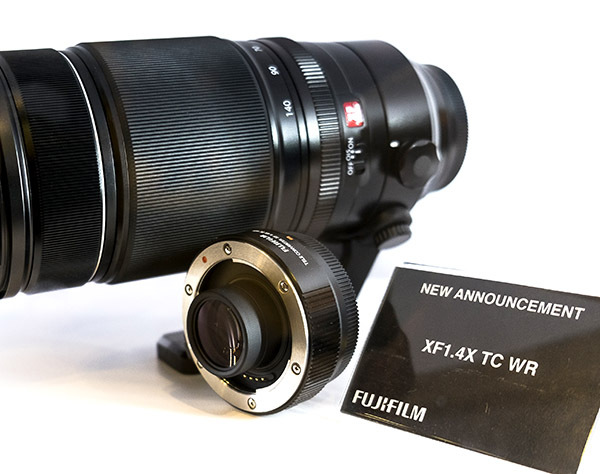 Fuji's XF1.4X TC WR teleconverter has a limited use, currently working only on the 55-140mm f/2.8 zoom. It is also intended for the 100-400mm telephoto zoom and 120mm macro coming out in 2016. Among the other do-dads I saw and liked were straps and a messenger bag with a really unique fastening system -- all perfect for a Fuji-X or Leica camera system. 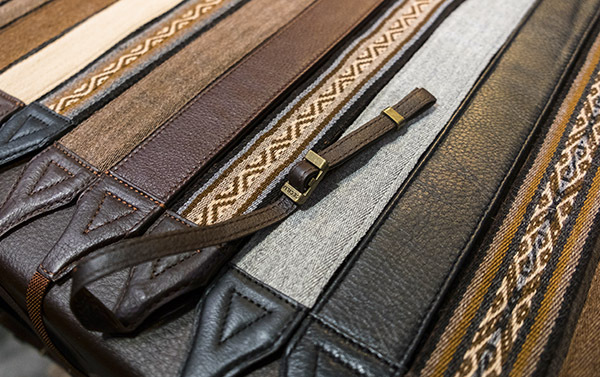 Cecilia straps come in a variety of width from just the strap itself up to a 1.5" neck band. They are made of leather and also come with Peruvian woven designs. 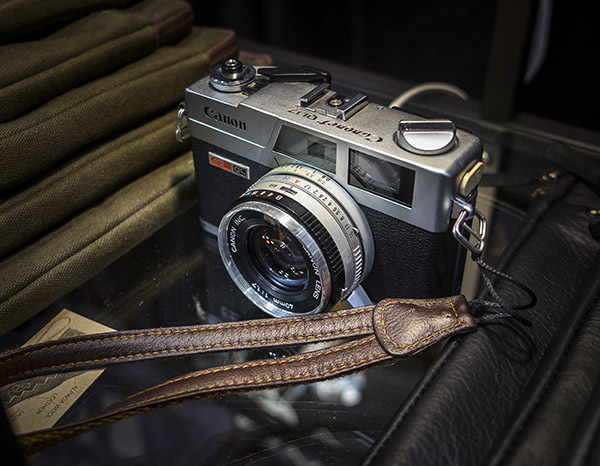 The leather was very supple, a perfect accompaniment to a Fuji X camera. Celicia also makes leather wrist straps of the same leather. One of the most inovative camera bag fastening designs I have come across lately is made by Peak Design as part of a Kickstarter project. 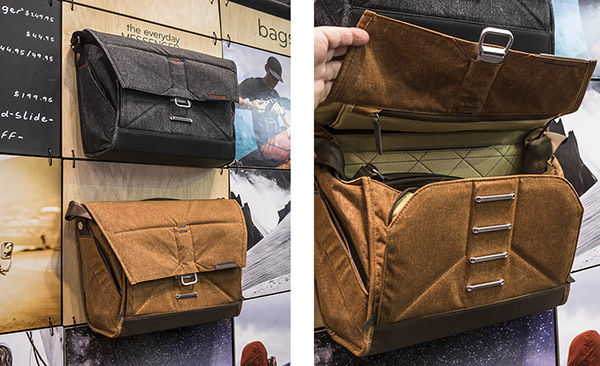 The Peak Design Everyday Messenger bag features a unique, brushed metal clasp. Pull the square loop down to unfasten the top. Simply touch the loop to any of the four fasteners and the top flap locks with a distinct snap. The bag is rather large for a small camera system. I only wish they made one or two smaller versions. The GigaPan Epic Pro is something I have been considering for some time to use in my panorama work. It is a very precise machine for taking multiple pictures to stitch into ultra-high resolution panoramic images. Considering what it does, the $995 price tag, it is a reasonable enough. What has kept me from jumping in is the size. It is a large, extra piece of equipment to lug around. It does have a dedicated accessory back pack, but when I add in the camera, tripod, and lenses, the total package is getting quite cumbersome to transport. 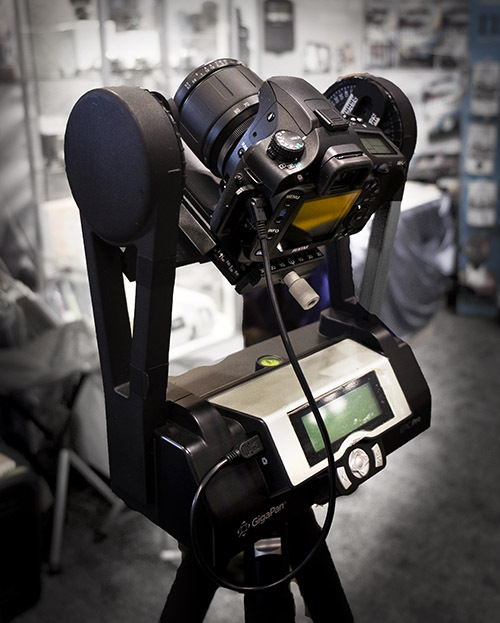 The GigaPan comes in three sizes, the largest, and the one with the most features is the Epic Pro. 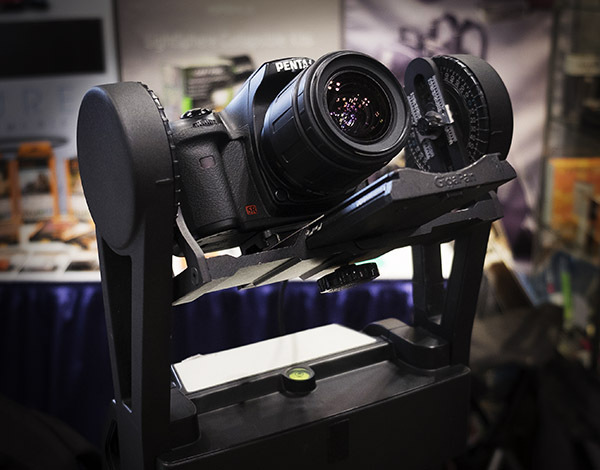 It can support most any full-frame or smaller camera. This was the first time I actually saw one of these devices. I found it to be smaller than I had pictured it to be. I came very close to placing an order for one right at the show. The GigaPan works fully electronically. The photographer marks the starting and ending points of the image sequence, enters the lens focal length data and percentage of required over-lap, and the Epic Pro does the rest. You can use any stitching software, such as PTGui to assemble the images later. Hardly seems fair to even take credit for taking the photo. Drones were everywhere at the exhibit. I liked this new one from ProDrone. 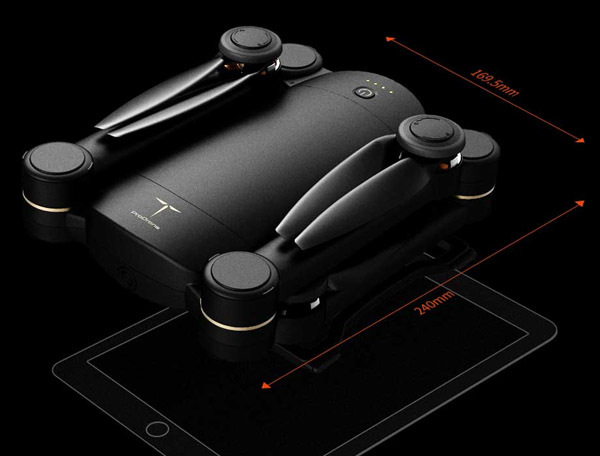 One of the nicest things about it is that it folds up into a very compact package for portability, and opens up in an instant ready to fly. The ProDrone can be ordered with a 2k or 4k camera, or mount your own. It has a very long battery life (30 minute flight time). The drone has a very compact, easy to use flight controller. Two controls, one with over ride, can be used for flight training. 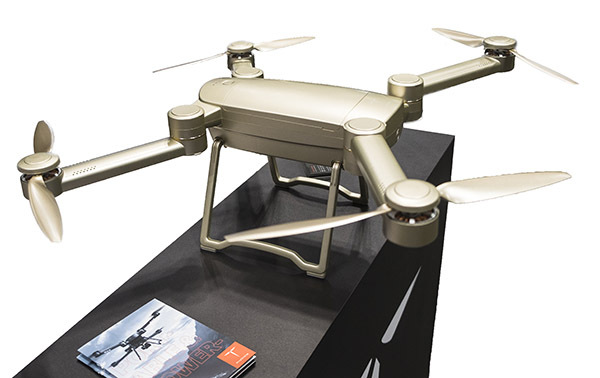 The ProDrone folds up into a compact 169.5 x 240cm package. 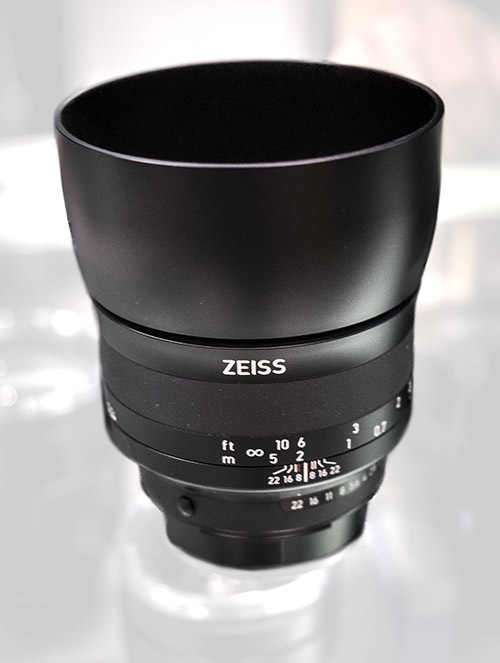 As for lenses, I've had my eye on the new Zeiss Milvus lineup for Nikon, in particular the 50mm f/1.4 or f/2 macro so I can use them for creating panoramas. These lenses are hitting the market now so I will be testing them out soon. I liked the smaller size of the Milvus 50mm f/2 macro. It is a manual focus lens only, but that does now present any problem in using it for macros, or for panoramas where I always turn AF to off anyway. I was told by someone at the show that it is Nikon and Canon who do not allow Zeiss to make AF lens models for their cameras.